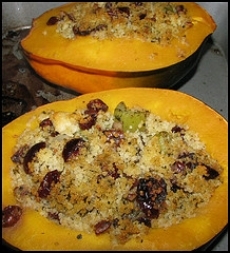 Have you made Acorn Squash With Cranberry Filling? 1. 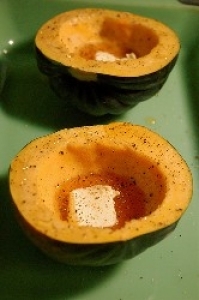 Place squash in Microwave Oven and heat, uncovered, 15 minutes or until they feel soft to the touch. 2. Let stand 5 minutes. 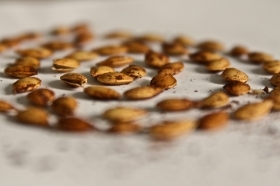 Cut in half and remove seeds. 3. 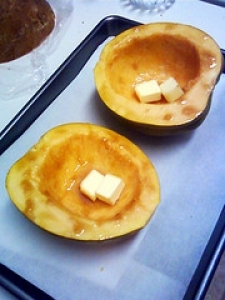 Place cut-side-up in a shallow, heat-resistant, non-metallic baking dish. 4. Sprinkle with salt. 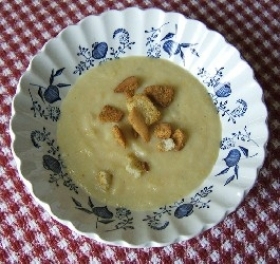 Place 1 tablespoon of butter and 1 table- spoon of honey in each half. 5. 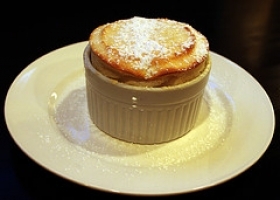 Heat, uncovered, in Microwave Oven 4 minutes or until butter has melted. 6. With a brush or spoon, spread honey-butter mixture over cut surfaces of squash Place a spoonful of cranberry sauce in each squash half. 7. 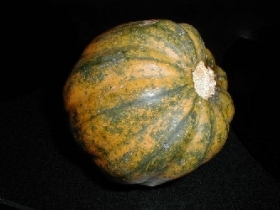 If warmed cranberry sauce is desired, return filled squash halves to Microwave Oven for 6 minutes or until cranberry sauce is hot. 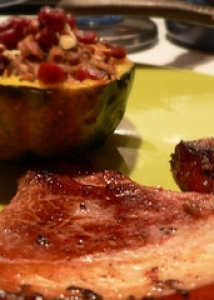 This recipe is high in Vitamin A with 27% of your daily recommended intake per serving. This recipe is high in Vitamin C with 46% of your daily recommended intake per serving.